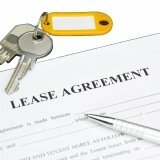 Is a subtenant taking over your lease or sharing the rent? Then our free sublet agreement form will rope him or her into your lease family right now. 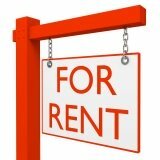 In most lease agreements, you will find a sublease clause that requires a nod from the landlord before you can have subtenants running around on the property. So squeezing a yes from your landlord is the first hurdle that you will have to leap over. We don't want to be a wet blanket, but subletting isn't all fun and games. Since your name is on the lease agreement, that makes you the main tenant (sublessor)... And that also makes you responsible for your subtenant's every move. If your precious subtenant wrecks the place or skips the rent, guess who the landlord is going to hound? Nope, not him or her. So don't go around asking random strangers for their autographs on your sublet agreement template. Before inking a sublet lease agreement, you need to screen and choose potential subtenants just like a regular landlord. Have everyone fill up a rental application form, arrange for face to face interviews and once you have your finalists... run a credit check on every single one with a dependable tenant screening website such as Tenant Verification Service or E-Renter. *Make sure this free sublease agreement form complies with your local real estate laws before using it. If you have any doubts, you can ask a real estate lawyer online. This Sublease Agreement is made between the Tenant _________________________ and the Subtenant _________________________ on this date _______________. The Subtenant is subject to all terms and conditions of the original lease agreement dated _______________, a copy of which is attached to this Sublease Agreement. This sublease term shall begin on _______________ and end on _______________. The Subtenant agrees to pay the Tenant an amount of $ _______________ per month as rent on or before the _____ day of each month. A joint inspection of the Premises shall be conducted by the Tenant and Subtenant at the start of this sublease term. Any damage or deficiency at the time of inspection shall be recorded in writing with copies for both Tenant and Subtenant. The Tenant shall be liable for the cost of all cleaning and repair to correct any damage or deficiency recorded during this inspection. The Subtenant shall be liable for the cost of all cleaning and repair to correct any damage or deficiency during and at the end of this sublease term, after accounting for normal wear and tear. The Subtenant shall deposit an amount of $ _______________ to be held by the Tenant as security deposit. This deposit shall be refunded to the Subtenant upon termination of this sublease after deducting for any of the following: default of rent payment, loss or damage to the Premises or its furnishings and any required cleaning of the Premises. The Landlord hereby agrees to the sublease of the above Premises according to the terms and conditions of this Sublet Agreement.